If you are like me you totally forgot that you said you would donate a baked good to your child’s school for the “Fall Fundraiser”, and now it is the day of and the freaking out begins! 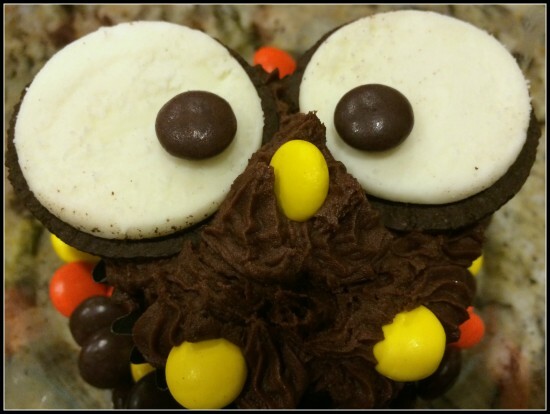 Have no fear Owl Cupcakes are here! These are so easy you could practically do this in your car on the way to the school (provided someone else is driving). 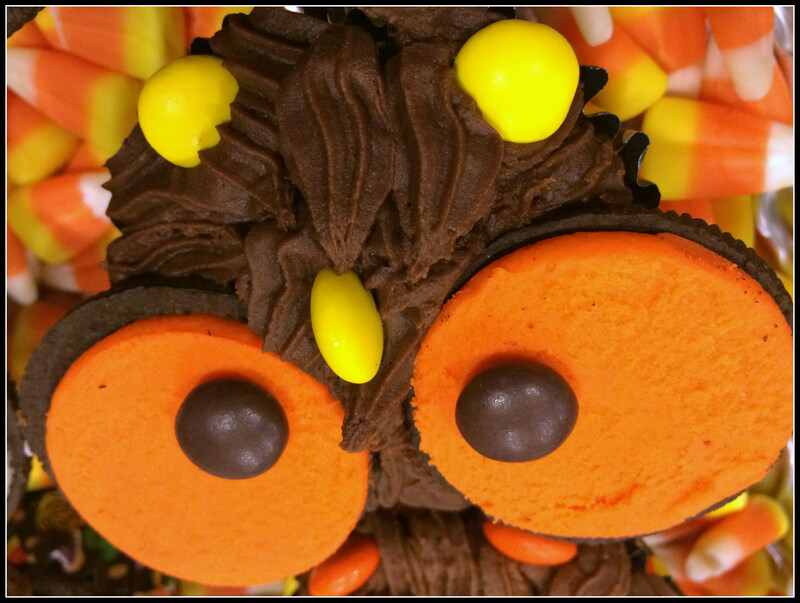 Open Two Oreos, place on the cupcake and place 2 Reese’s Pieces or 2 M&M’s for the center of the eye. Place another candy for the nose (sideways on the cupcake). Basically, make it look like the picture below. This is fairly easy and not too involved! So cute – what a great Halloween idea!